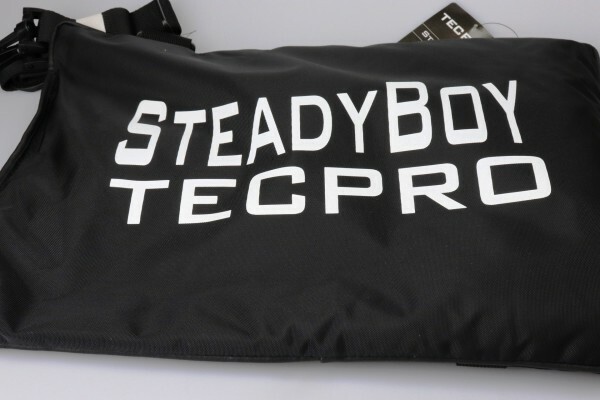 Product information "TECPRO SteadyBoy 3,5Kg"
SteadyBoy is a high-technology update of the old-fashioned beanbag. SteadyBoy virtually eliminates camera shake without the need for time-consuming tripod setup. Use it for rock-solid shooting on car hoods, window ledges, boulders or tree branches. Made from rugged waterproof nylon and filled with thousands of custom-milled polypropylene beads, SteadyBoy is available in two models. The seven-pound (3.5kg) size is designed for broadcast video (ENG/EFP) and motion picture cameras, as well as still cameras with very long and/or heavy lenses. The three-pound (1.5kg) SteadyBaby is for 35mm and medium-format SLRs, as well as video camcorders. Related links to "TECPRO SteadyBoy 3,5Kg"
Customer evaluation for "TECPRO SteadyBoy 3,5Kg"